Bequia Youth Sailors is a registered charity in St Vincent & the Grenadines and is supported by both local residents and businesses alike, providing the opportunity for any child who is in school, to learn to sail. The charity was started by Andy Mitchell, Coach Eddy and Christian Schijver, who is an Optimist Instructor, so the youngsters are in great hands. There have been over 200 children through the program so far and currently 30-40 children meet regularly to learn more about the boats and sailing them. Many house owners on Bequia support the charity either through monetary donations or through providing equipment such as life jackets, rigging, torches, lines etc. Local families even provide some of the boats for the children to use and be trained on. 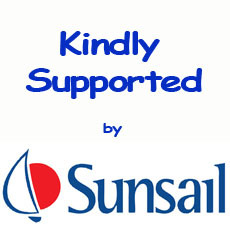 Both Sunsail and Tradewinds, two of the regions high profile sailing companies both support the charity with Tradewinds providing a monthly income and Sunsail providing new sails when necessary and boats for off-island trips. The support of the local community has been fantastic but with an International Regatta coming up early next year, more funds are required. The children start on the Optimist boats, which are an Internationally acclaimed class of boat and a great way for the youngsters to learn. These boats are regularly entered into local and regional regattas and many awards now adorn the walls of their ‘headquarters’, Handy Andy’s shop in Admiralty Bay. Their latest awards coming from the 2012 Carriacou Regatta. The children are put through a training schedule covering many aspects of sailing including sail trim, rigging, wind and tides, boat handling amongst many others. Once they show aptitude and enthusiasm, they move on to the local Bequia boats, the ‘Double Enders’. These are much more difficult to sail, with no keel and a large sail area, making them inherently unstable. Despite this, it seems all of the youngsters want to be part of the Double Enders team as quickly as possible. These boats too are entered into the regattas, and have also achieved great results in the Carriacou Regatta 2012 along with the local Bequia Easter Regatta in recent years, winning best in class 2012. The fleet is soon to expand with the introduction of Laser Yachts, which are a recognised Olympic class of sailing yacht.